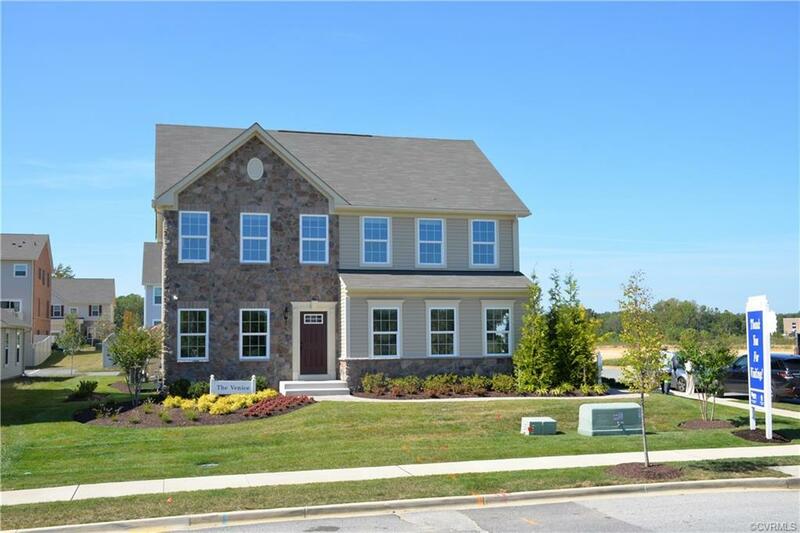 LAST HOME SITE AVAILABLE IN OAK KNOLL! HOME IS READY FOR IMMEDIATE DELIVERY! The Venice celebrates easy living with style and grace. A welcoming foyer leads right into a formal room, which can either be used as a living room or dining room. A hallway is flanked by a convenient powder room on one side and stairs leading up to the second level. Through the hallway, the magnificent great room awaits and is large enough to accommodate a family of any size. The dining area and kitchen flow right from the family room. The large kitchen boasts a pantry, ample cabinetry, and room for an optional island. A convenient mudroom provides easy access to the two-car garage. Upstairs, four spacious bedrooms await, with two bathrooms, including a large owner’s bathroom. Closet and storage space abound. The laundry room is discreetly tucked away on the upper level, making doing the laundry an easier chore. Directions: Via 295-S. Exit At 49b-Route 33/Staples Mill Rd East. Turn Left Onto Hungary Rd go About 1.6 Miles. Located On Your Left On The Corner Of Hungary And Hungary Oak Dr.